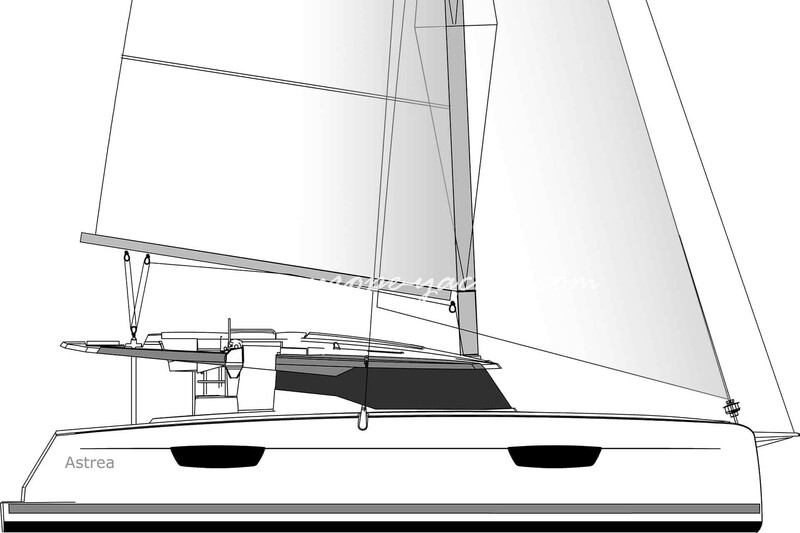 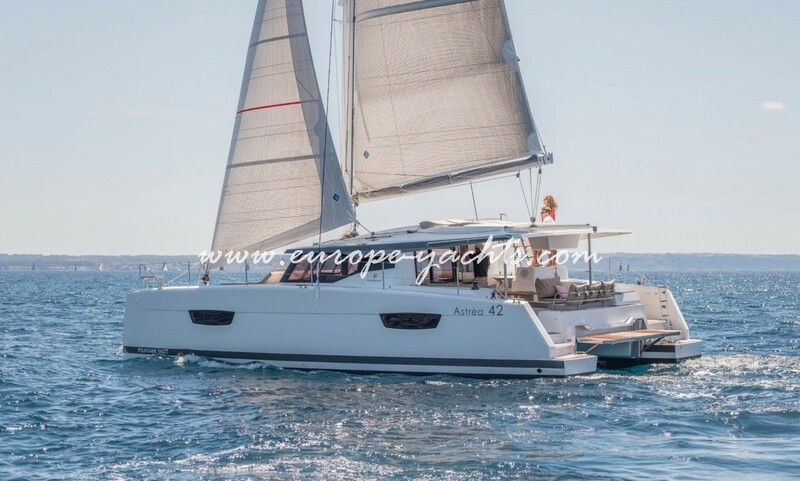 We are pleased to offer you a brand new model from Fountain Pajot, the Astréa 42 sailing catamarans joining our fleet from all the bases in Croatia. 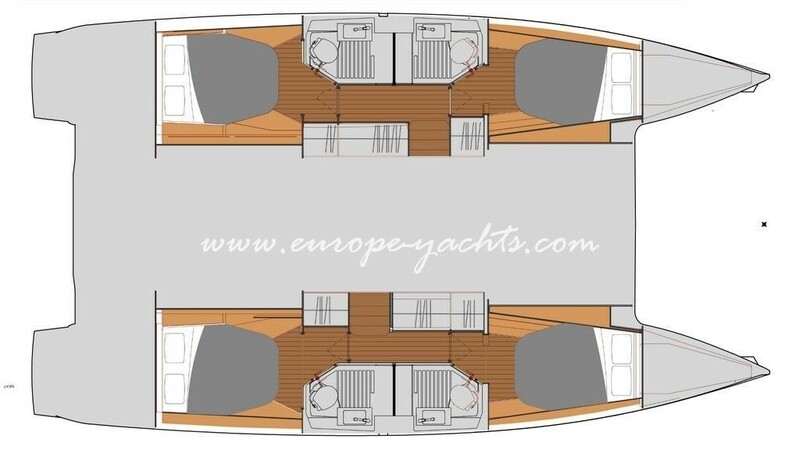 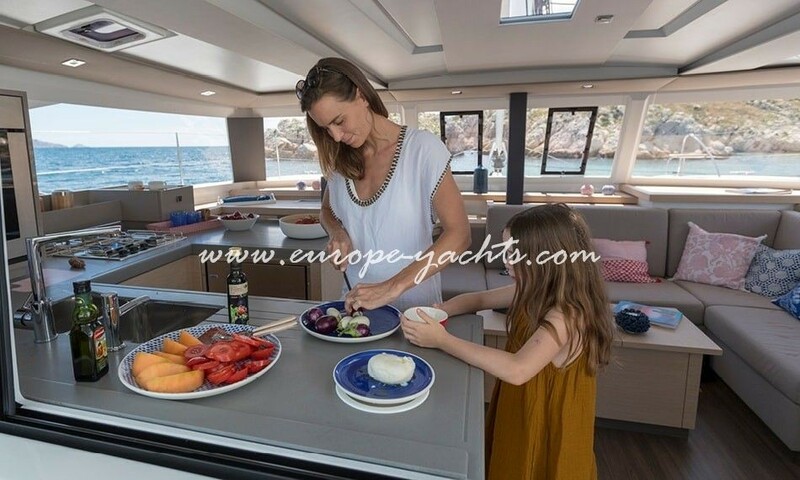 Our amazing Astréa 42 for charter in Croatia is available in Qautour 4-cabin version and also 3 cabin (owners version) and they will all be equipped like much larger luxury catamarans. 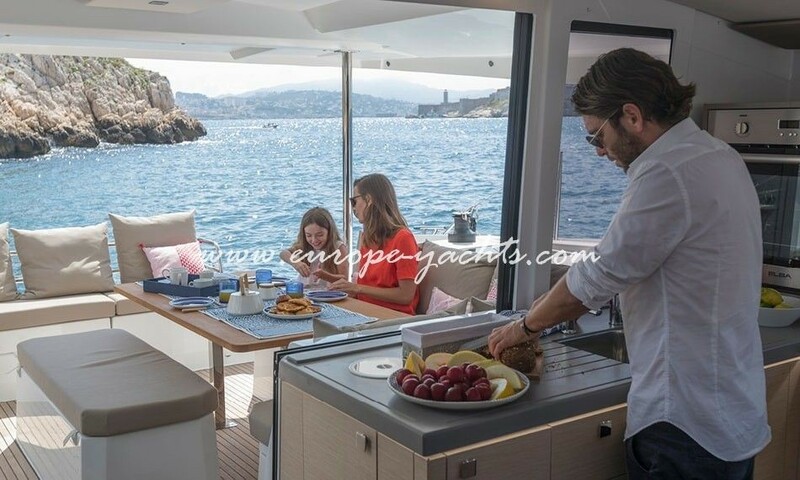 Air condition, generator, solar panels, electric toilets, LED-TV, that will all be on board with our Astréa 42 based in Seget Donji near Trogir, Split, ACI marina Komolac neat Dubrovnik and all other marinas. 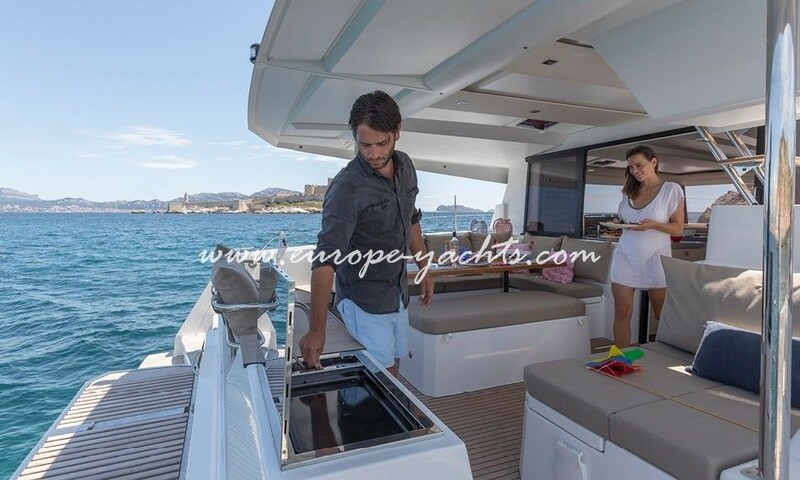 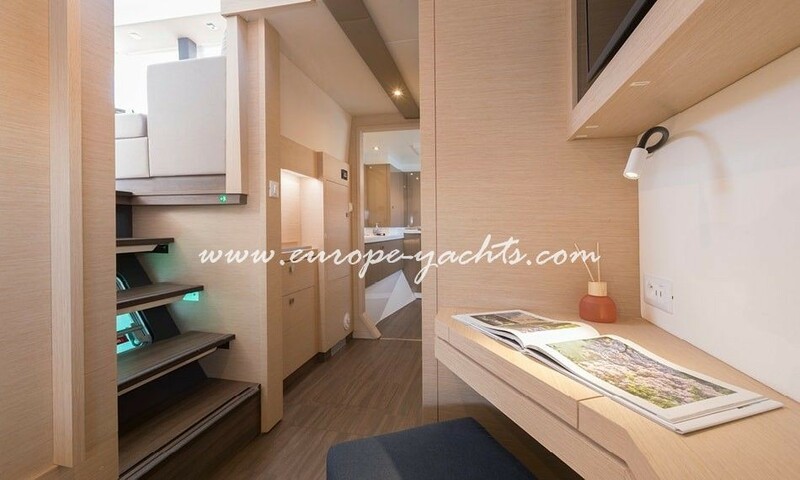 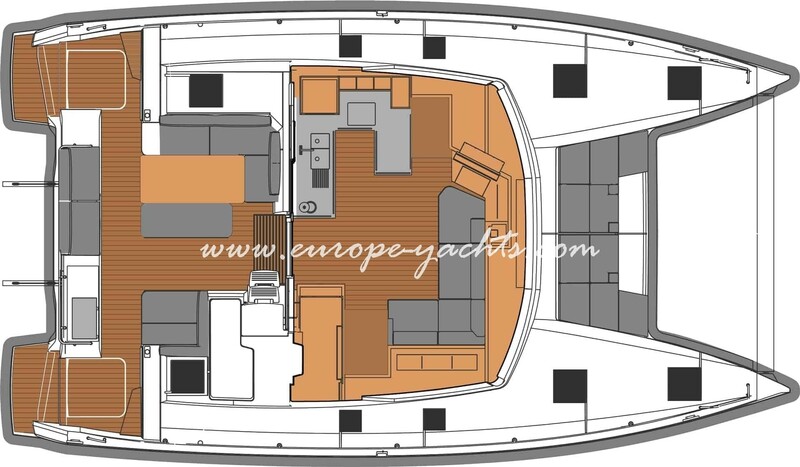 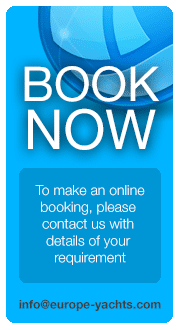 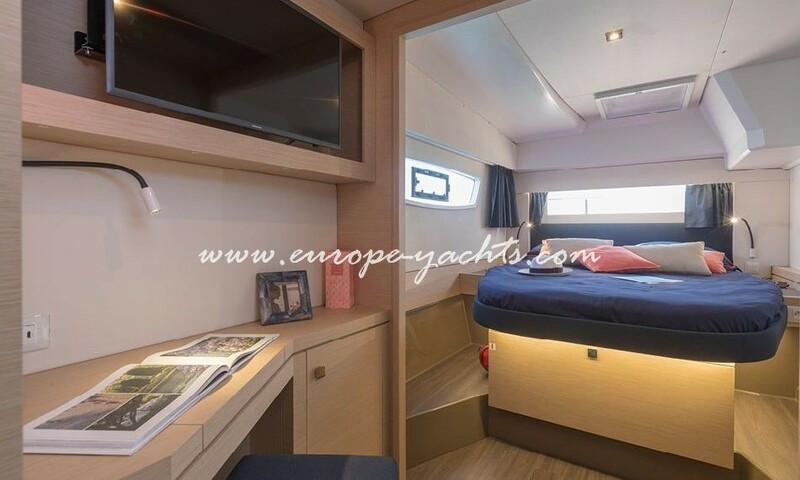 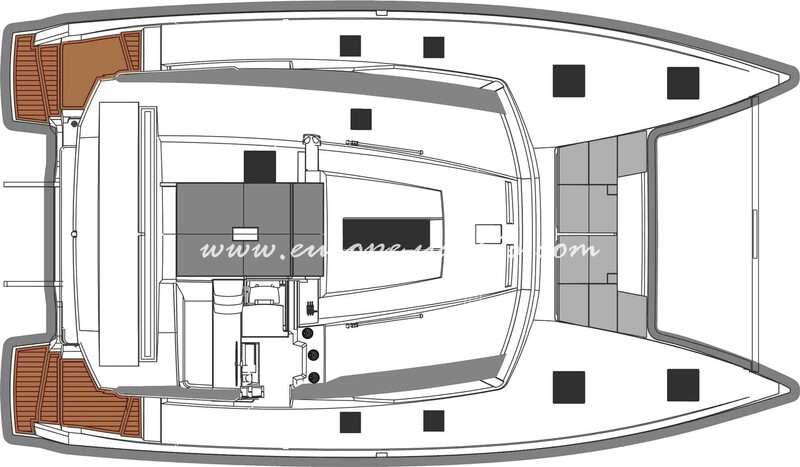 The Astrea 42 layout offers luxury comfortable space for 8 guests and two more berths in the two bow crew cabins or the convertible saloon table that can be a bed. 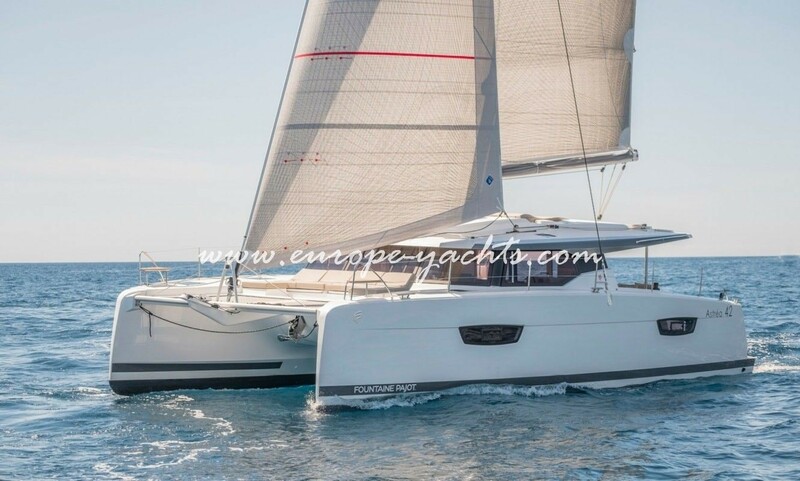 Available for bareboat and crewed with skipper and hostess charter, the brand new Astréa 42 is an amazing catamaran that is a bigger brother from our popular and successful charter catamaran Lucia 40 that is 2ft lower that the brand new Astrea 42. 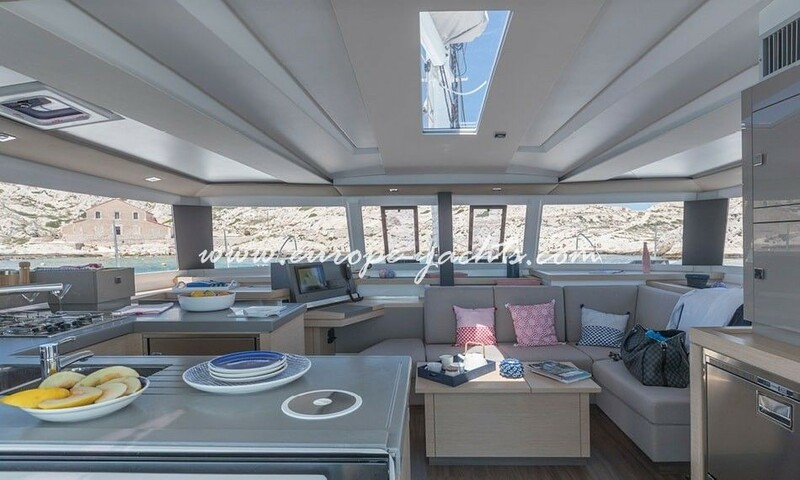 The amazing design of this 42 footer is equipped with many elements of the larger brother, the Saona 47 that is one of the best below 50ft catamarans available for bareboat rent in Croatia. 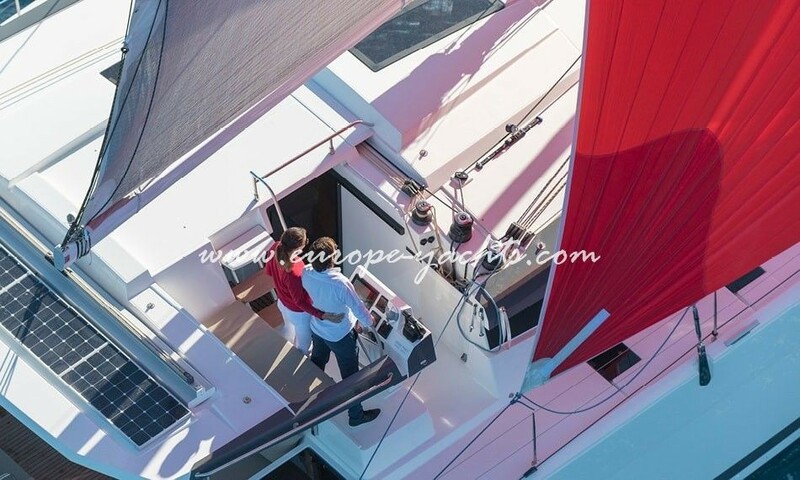 Many of the elements that where amazing on the Saona 47 where implemented in this Fountaine Pajot 42 ft catamaran and will one of the catamarans that you need to check when renting a catamaran in Croatia. 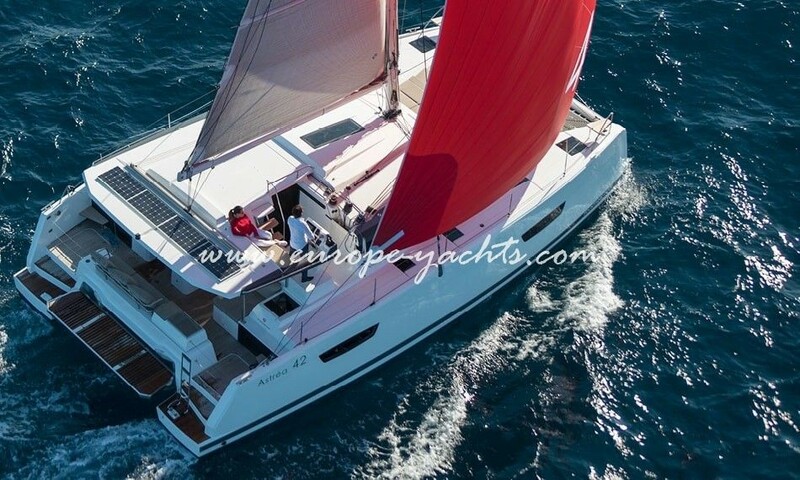 Charter catamaran Fountaine Pajot Astréa 42 is design to strike your imagination and to be seen on the sea, with bright living room spaces that is connecting to the spacious saloon with the elegant cockpit and the large galley. 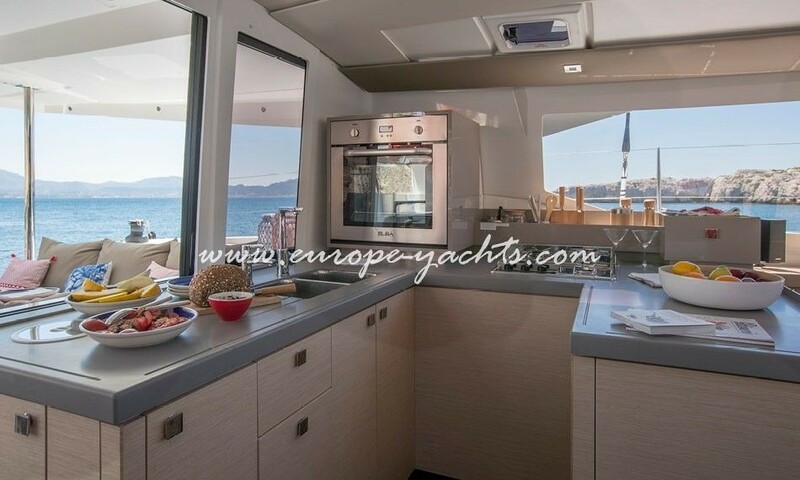 Its determent to demand sailors to enjoy the helm station that is linked with the outdoor but also interior living areas of this beautiful catamaran, with providing amazing sea view with all ropes coming together at one place so its really easy to maneuver and sail. 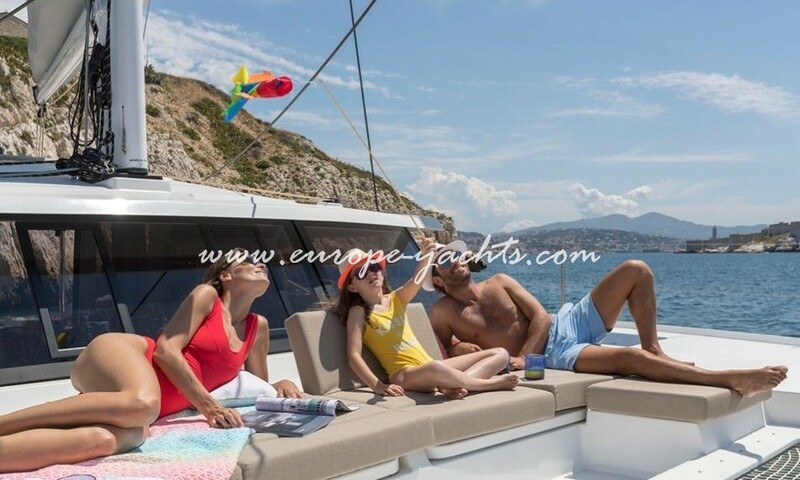 The roof of a catamaran comes with a double seat with the helm station and sun lounger for sun worshipers so you can enjoy Croatia like you deserve it. 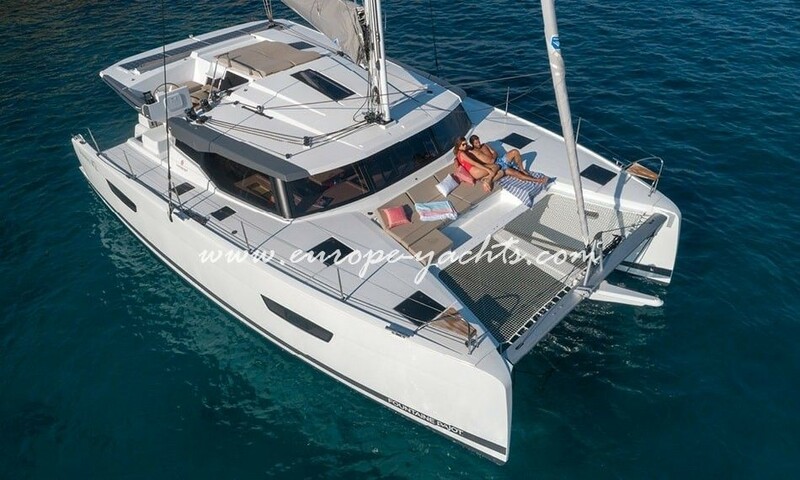 Charter catamaran Astéa 42 in Croatia offers the design approach that is the same when it comes to a amazing and spacious forward deck featuring more sunbathing and lounging options in front of the trampoline. 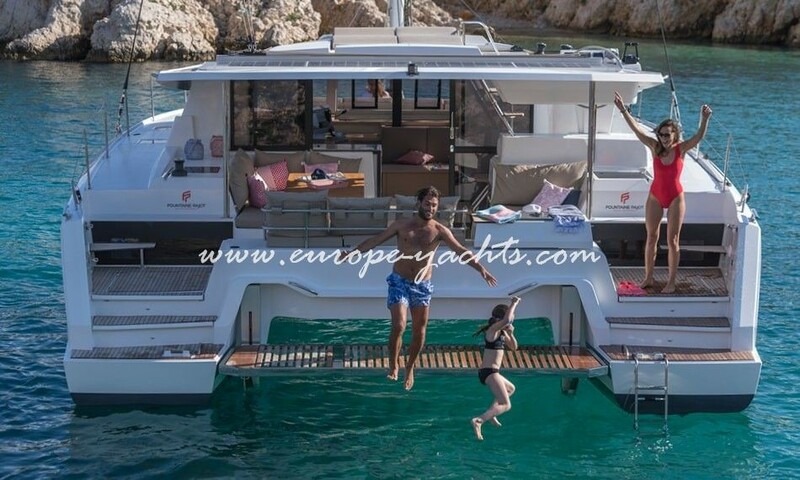 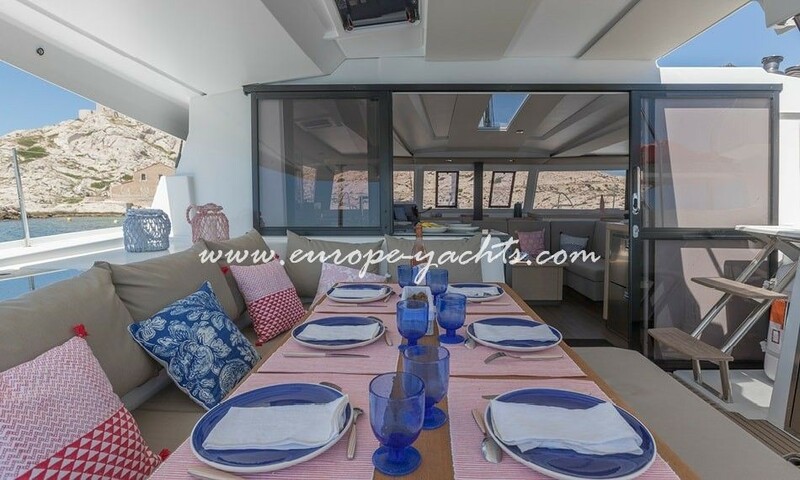 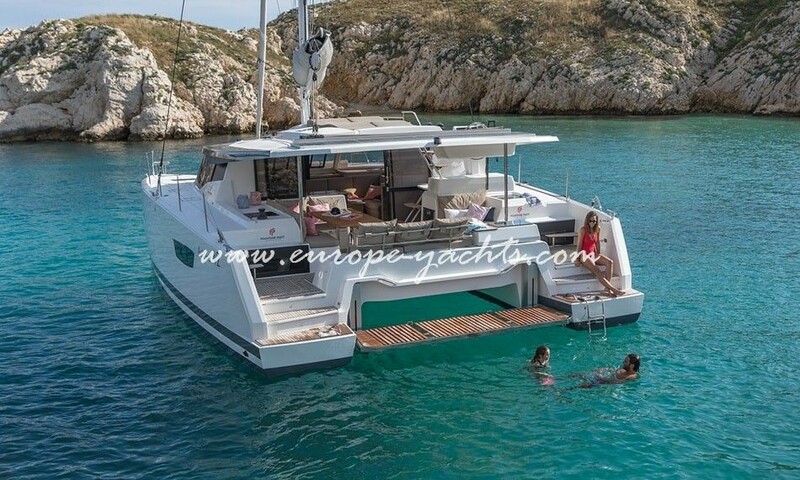 This amazing 42ft catamaran is perfect to entertain friends or families this Fountaine Pajot Astrea 42 catamaran is already available on the beautiful Adriatic sea. 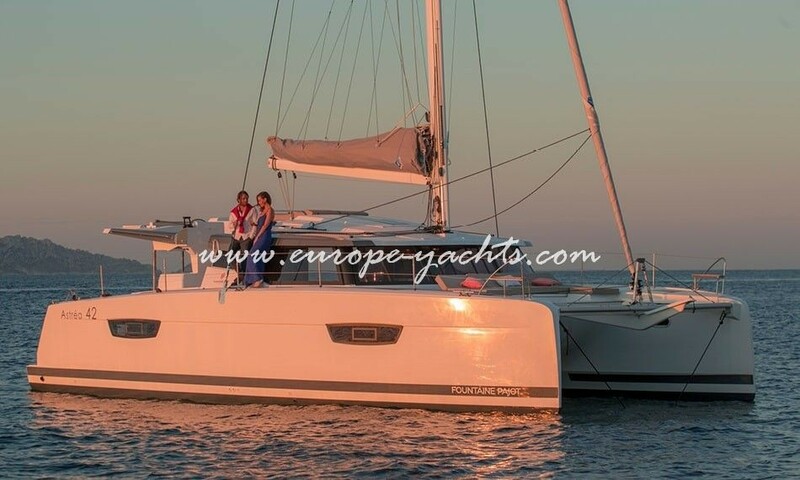 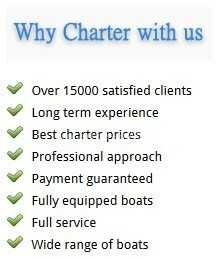 Book Astréa 42 catamaran now to make your vacation a one to remember.